Sir Bowie shared this image with me yesterday from another blog he had visited. Just a few nights before we had shared new ideas over a "few" pints on the direction of KMSA...with input from Sir Dayvd of Oxfordshire. In essence we have come to a crosswords, one that I have visited many times on my journey in life, where we had to create or die! So, as we approach the coming official holiday that kicks off summer and the fourth anniversary of my father's death, you will begin to see less and less on this blog while we give birth to our "new and improved" version of the Knights of ??????. It's our summer sabbatical. 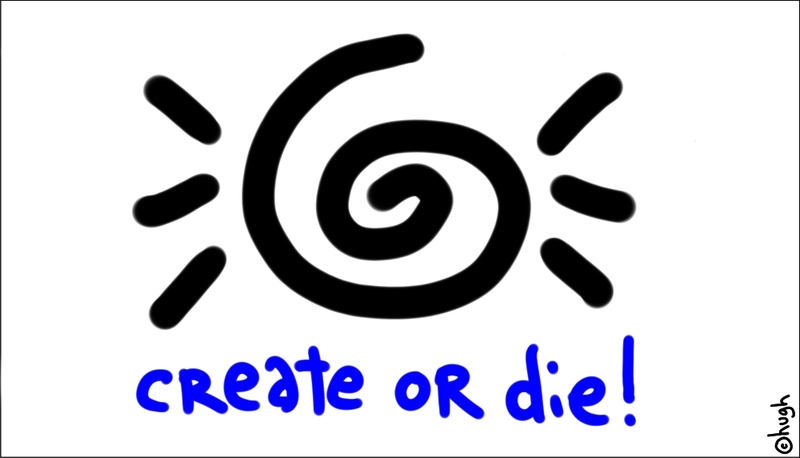 I invite all of you to do the same...to create or die....it truly is the art of "endeavoring to engage yourself." It's a banquet where sacred cows become the evening steak, nourishing the soul, giving it the strength to move boldly in new and better ways. All things become new... not just once...but many times. Like a snake shedding its skin...we'll look familiar on the outside, but being reborn as Knights and Ladies with more mystery, fun, and inspiration for an even broader audience to share. To the Knights and Ladies who have been loyal avid readers of our blog, thank you for your continued support, and know that we will be back...we might even post a few on this site from time to time. We will also inform you to our new location. To the Knights and Ladies who we have invited on numerous occasions to write and contribute, I challenge you to embrace our main tenant, which will not change, you are "free to create without judgement!" Don't let your fears of what others think block you from becoming what you know you want to become! 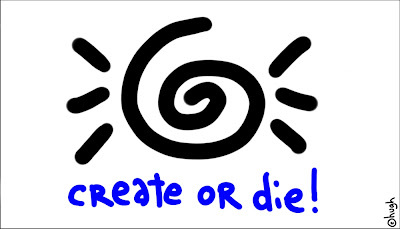 Create or Die! The choice is yours! Choose wisely!